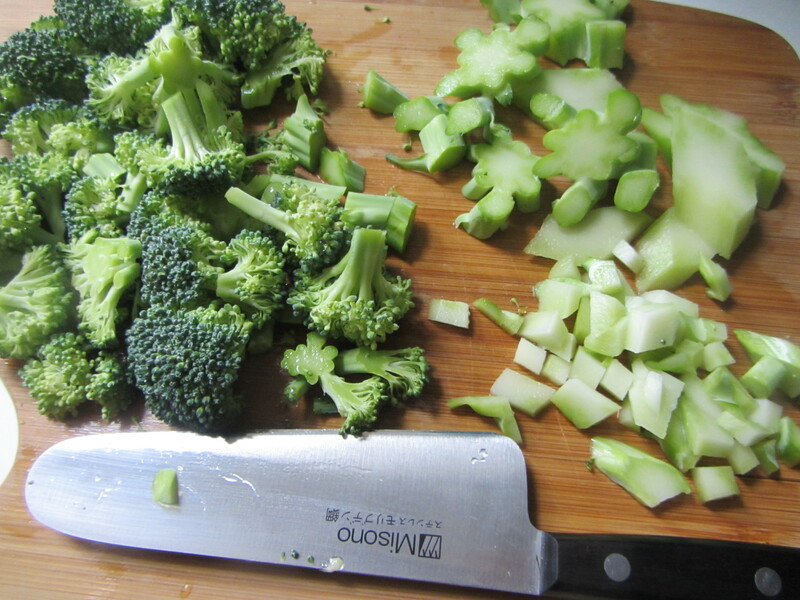 Apples, Broccoli, Cabbage: ABC. Easy as one two three. Well, almost. The winter has been long. We have eaten a lot of apples. We have eaten a lot of broccoli. And, cabbage. So, how do you continue to make it exciting? It’s all in the presentation. Here, raw apple sections, blanched broccoli and blanched Napa cabbage. Re-presented. and then wash the whole stalk well. 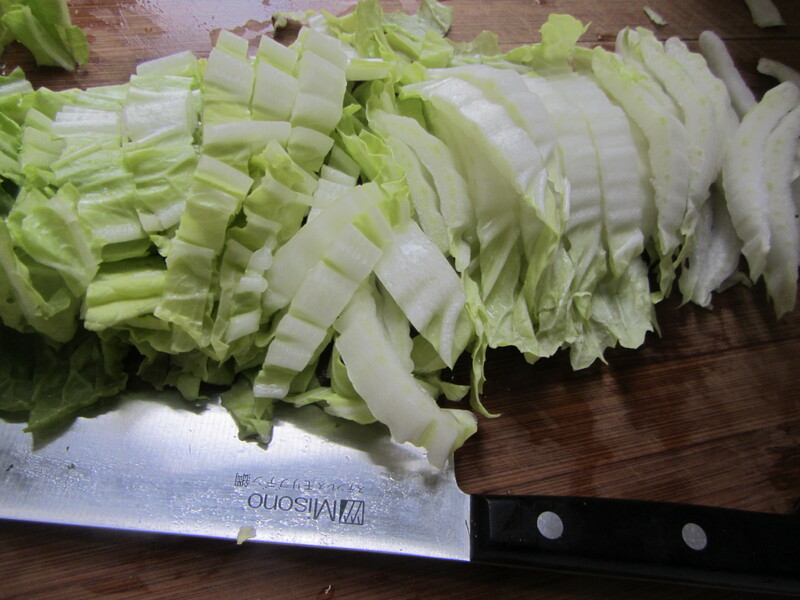 Slice the Napa cabbage leaves into quarter-inch-thick ribbons. Set aside. 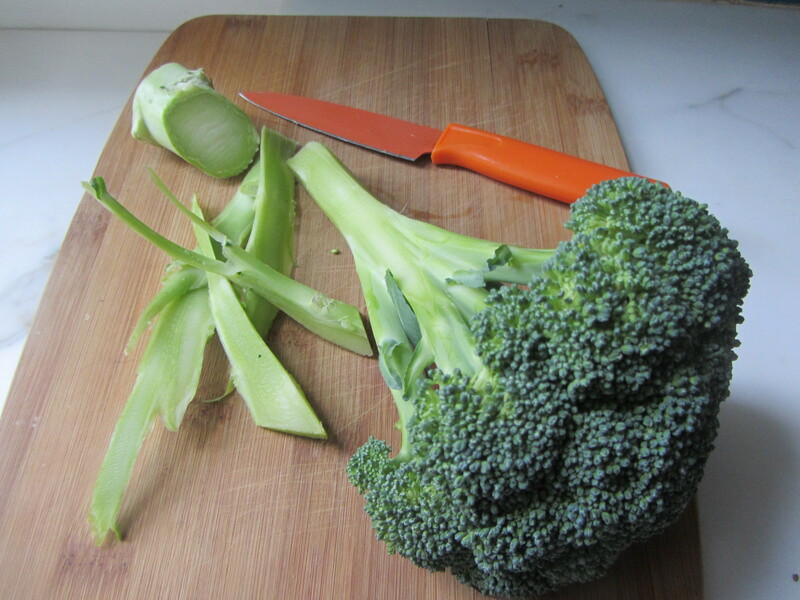 Cut the stem of the broccoli into half-inch-thick discs and then chop the discs into quarters or sixths. Cut the florets into small pieces and set aside. Fill a large skillet with water. Set on a medium flame, add a pinch of sea salt and bring to a roiling boil. 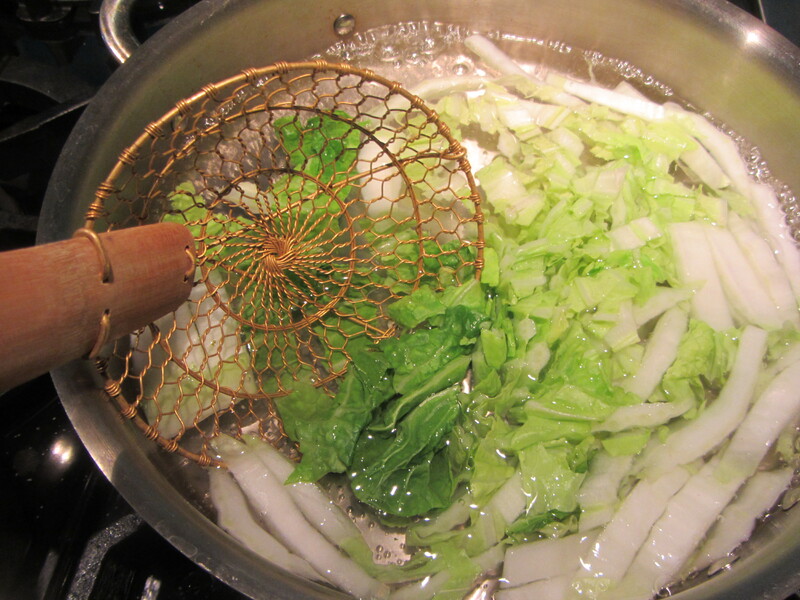 Drop in the cabbage first (it is lighter and will not affect the color or taste of the water as much as the broccoli). It will float to the top in less than 30 seconds. Remove with a wire mesh skimmer or slotted spoon and set aside. 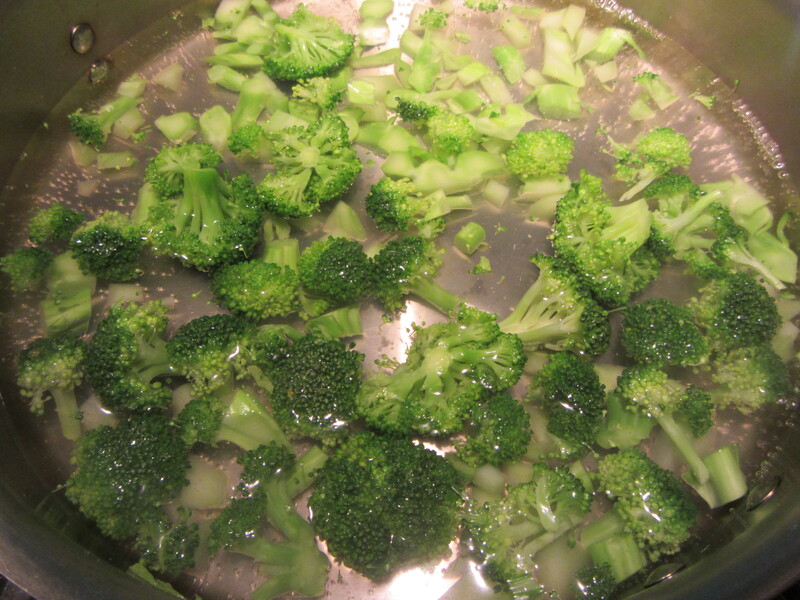 Bring the water back to a boil and then add the broccoli pieces. These small pieces will take about 40 seconds to blanche. When they rise to the top of the water and turn a more intense shade of green, remove them with a wire mesh skimmer or a slotted spoon. 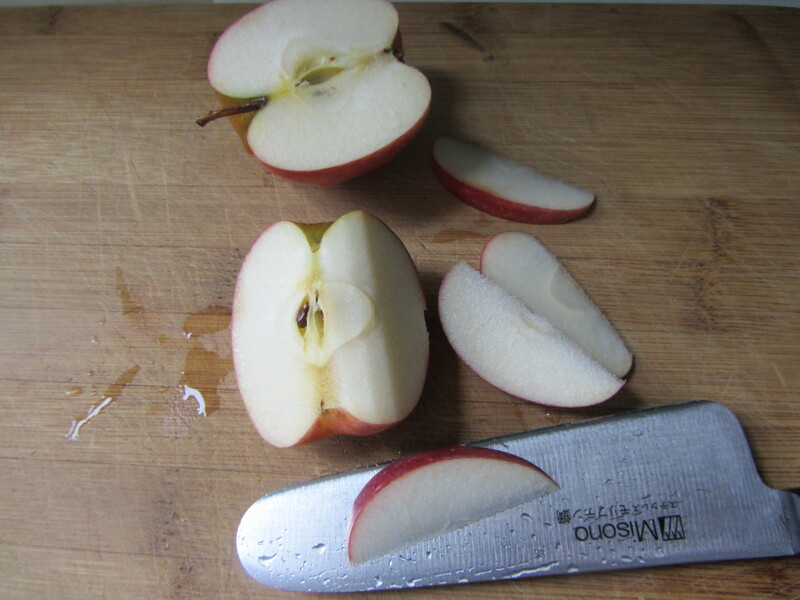 Halve the apple and then slice each half into wedges. Arrange the apples, broccoli and cabbage on your plate. It is fun to place them in a-b-c order….